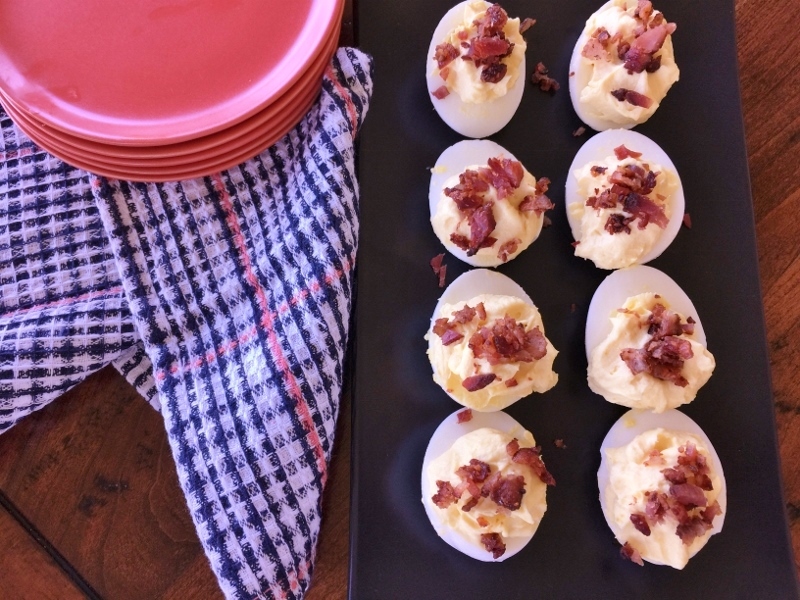 Deviled Eggs with Goat Cheese & Bacon - Recipe! - Live. Love. Laugh. Food. Deviled eggs always remind me of springtime. In my family, traditionally deviled eggs are made with mayonnaise, yellow mustard and a dash of paprika on top. 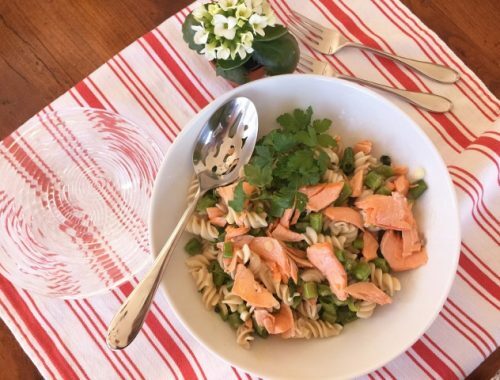 I have seen all kinds of super fancy deviled eggs topped with fried beet chips to salmon roe, or even a little more simplistically done with a touch of hummus, or tuna salad added to the center of the whites, if those are considered deviled eggs? I just love Goat Cheese — the tangy flavor with a hint of earth. Once I worked on a Goat Cheese Farm for a day, milking goats and making fresh cheese. What I remember the most was how clean goat cheese really tastes and smells when it is fresh — it was definitely hard to tell the difference between goats milk and cows milk straight from the animal. 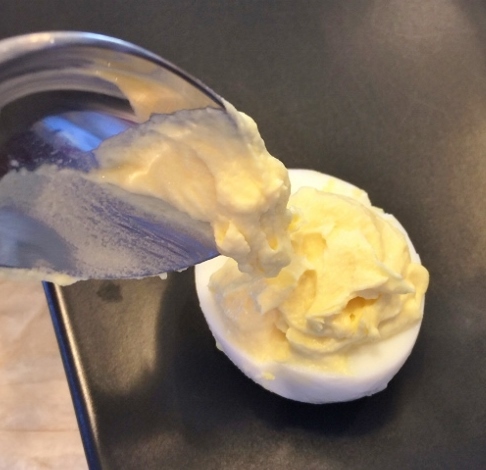 I think combining the two flavors of Goat Cheese and boiled eggs is a lovely idea because it perks up the yolks and turns them creamy and tangy. I think you will fall in love with the uniqueness of this combination without it wavering too far from tradition. 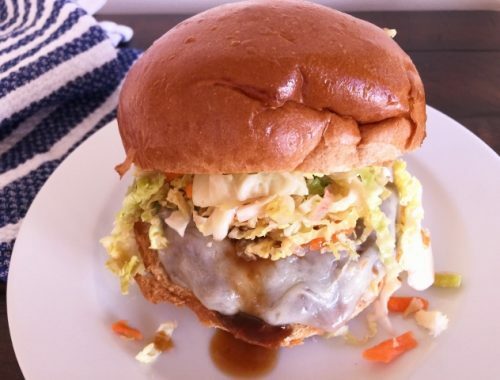 The smooth texture in your mouth mixed with the crunch of bacon is quite satisfying, so you might need to make a double batch. 1. 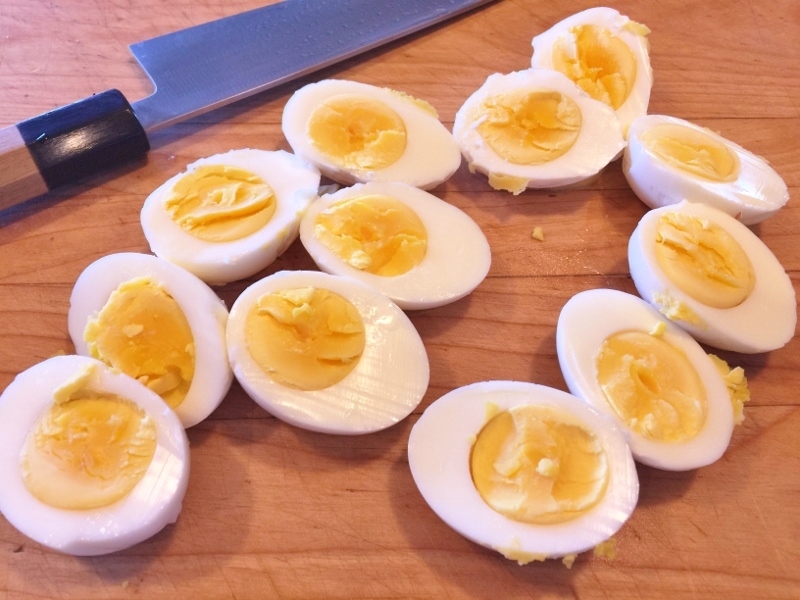 Slice eggs in half and place yolks in a stand mixer or large bowl. Mince bacon until coarse crumbs. 2. To egg yolks – add goat cheese, mayonnaise, mustard, salt and pepper. 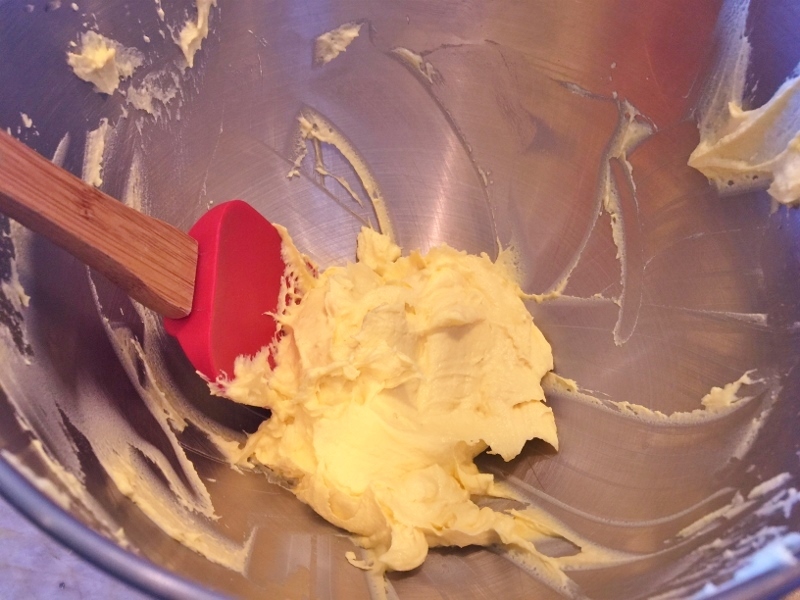 Mix on medium speed for 3 minutes, or until light and creamy. 3. Using a spoon, fill egg whites with Goat Cheese mixture. 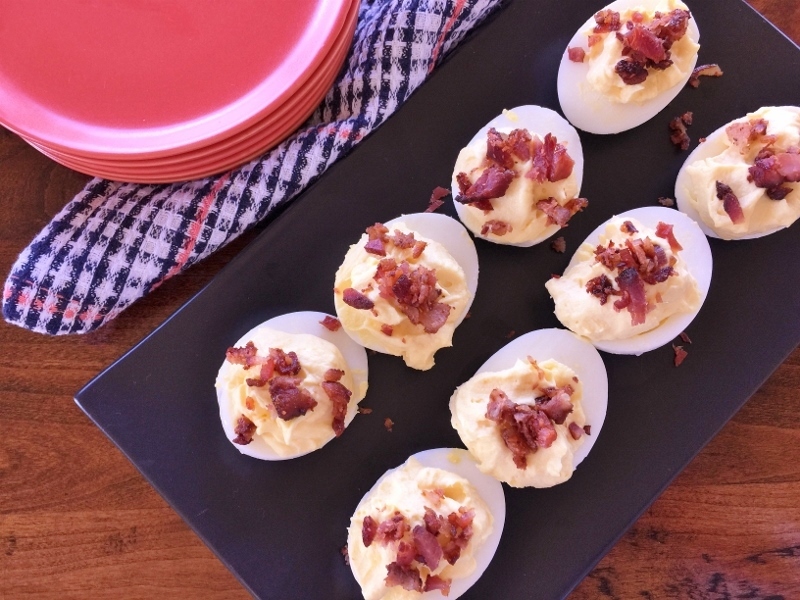 Sprinkle tops of eggs with bacon crumbles. Refrigerate until ready to serve. Enjoy! 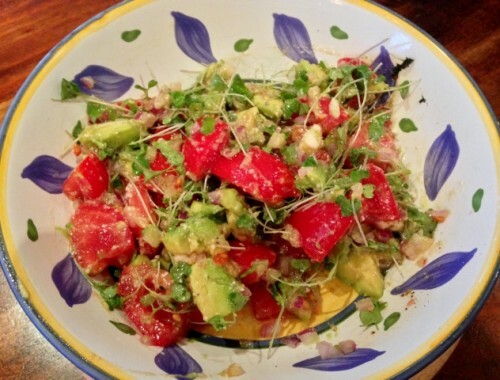 Tomato & Avocado Salad with Feta Dressing – Recipe!